It’s been a few years since we’ve heard the hazy sounds of Dustin Payseur’s Beach Fossils and with other Captured Tracks’ artists basking in the success of their respective new albums, many started to wonder when the band would return. 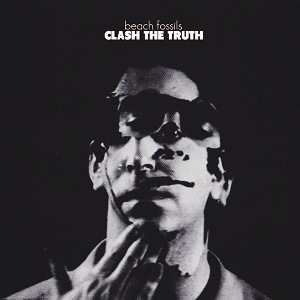 Fitting casually yet somehow necessarily into the array of this year’s already stunning album releases is Clash The Truth, the sophomore LP from Beach Fossils, and unlike prior material, this new effort shows a side of the band that’s rambunctiously composed and thoroughly flexible. Payseur and newcomer Thomas Gardner (drums) clearly weave a dose of their spirited punk influenced passions into a few of the albums tracks, take “Shallow” and “Birthday” for example, and though this newly fueled drive may fall short during certain moments it still offers listeners a fresh, amped version of Beach Fossils. Old fans can easily find solace in Clash The Truth as well and with the jangly, romantic vibes of “Taking Off” and the mellow yet charming “In Vertigo,” which features vocals from Blonde Redhead’s Kazu Makino, it’s clear that Beach Fossils hasn’t completely abandoned their original sound.